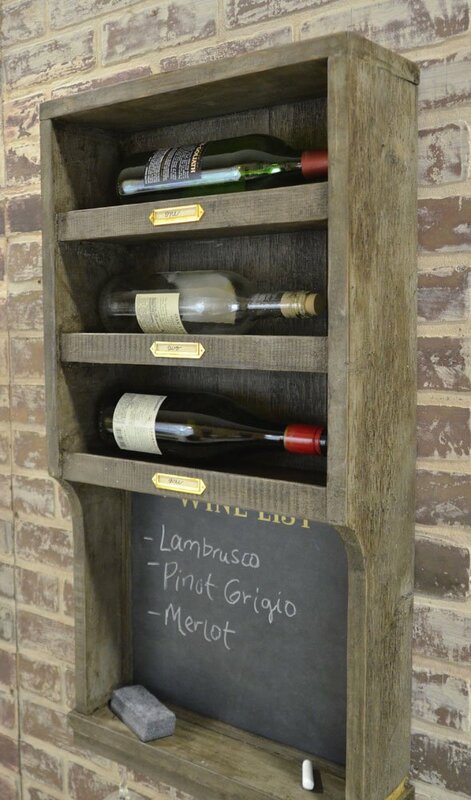 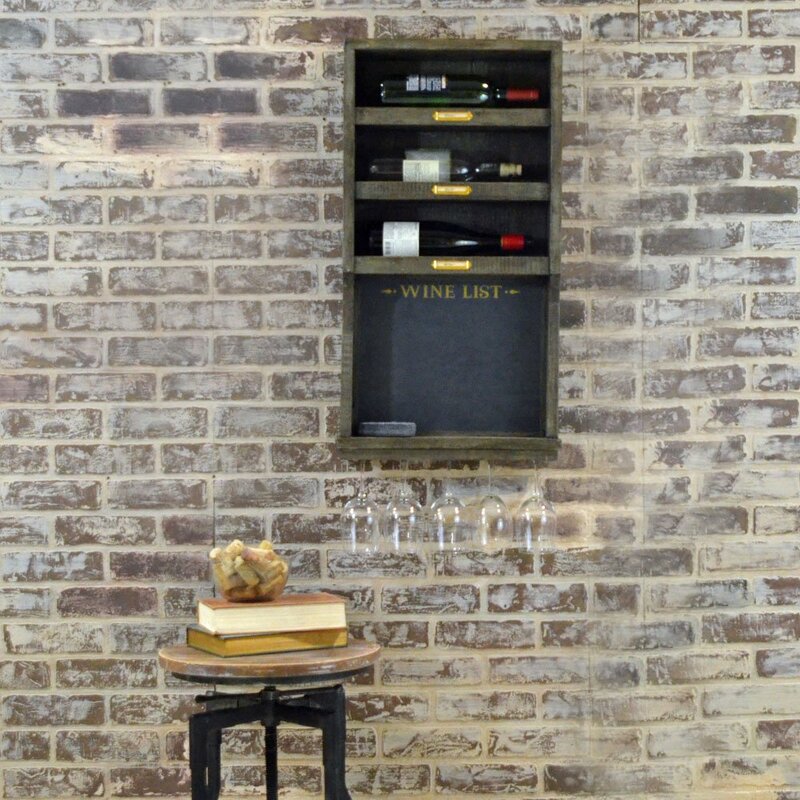 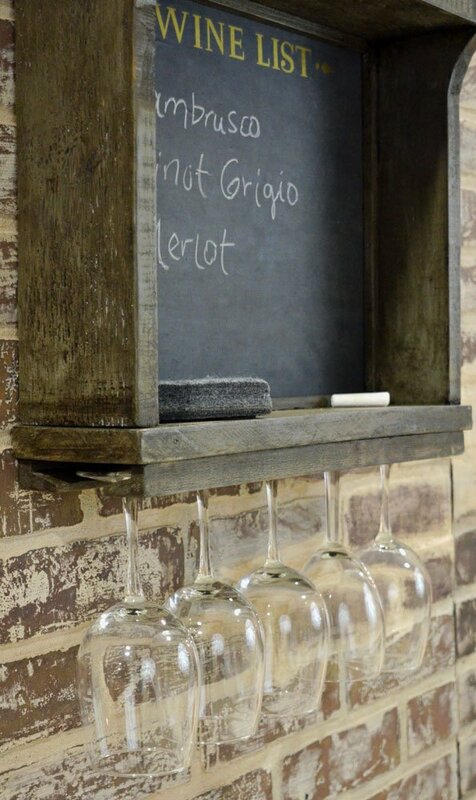 This wall mounted wine rack chalkboard will organize your wine in style! 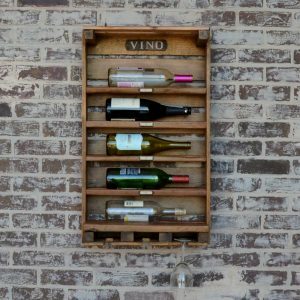 Made from cedar with 3 shelves for wine bottles, this rack comes with an eraser that sits on the chalkboard shelf. A glass rack holds 4-5 glasses below the rack. 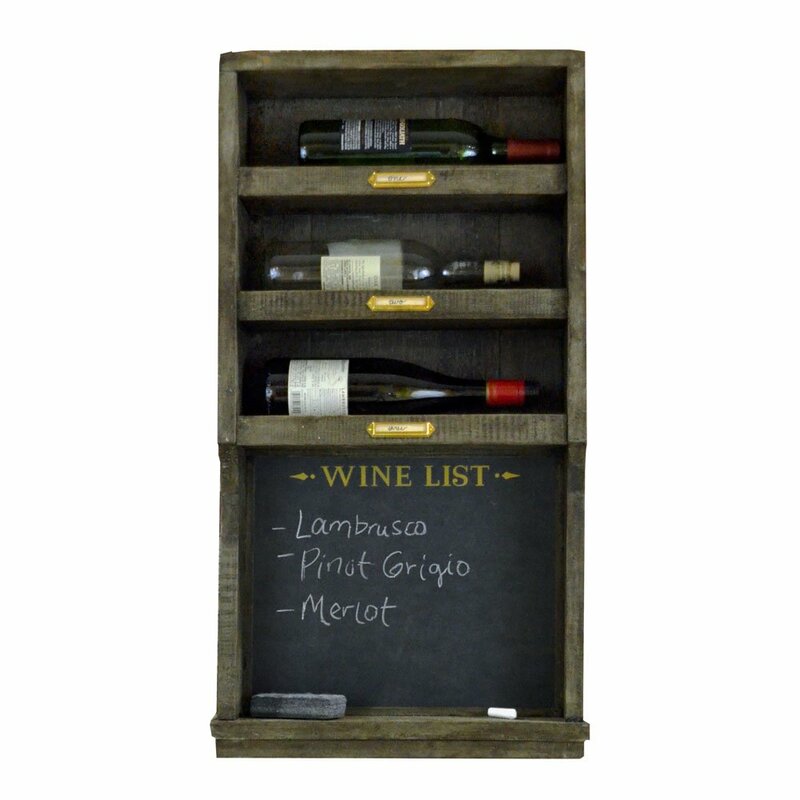 Three brass label holders compliment the metallic gold chalkboard lettering that reads “Wine List”. This wine rack is made to order based on finish preferences – generally takes 3 weeks to ship. 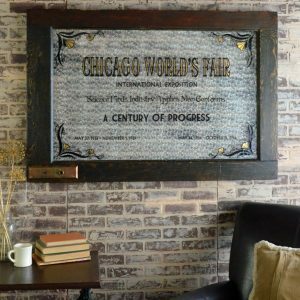 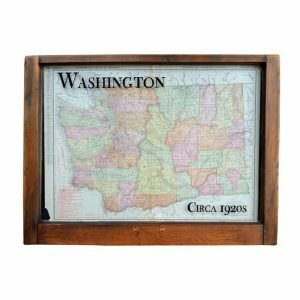 This wall mounted wine rack chalkboard will add vintage style to your kitchen or entertaining space! 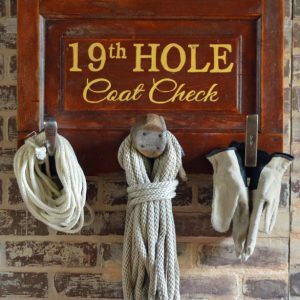 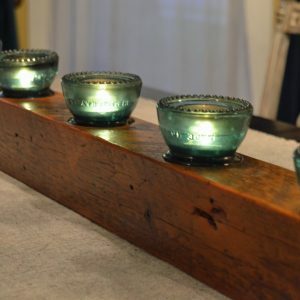 Made to order based on your finish preferences, typical lead time is 3 weeks to ship. 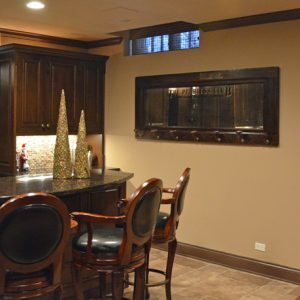 Finish is an aged gray brown; also available in dark stain, dark wax, aged cedar, or whitewash. 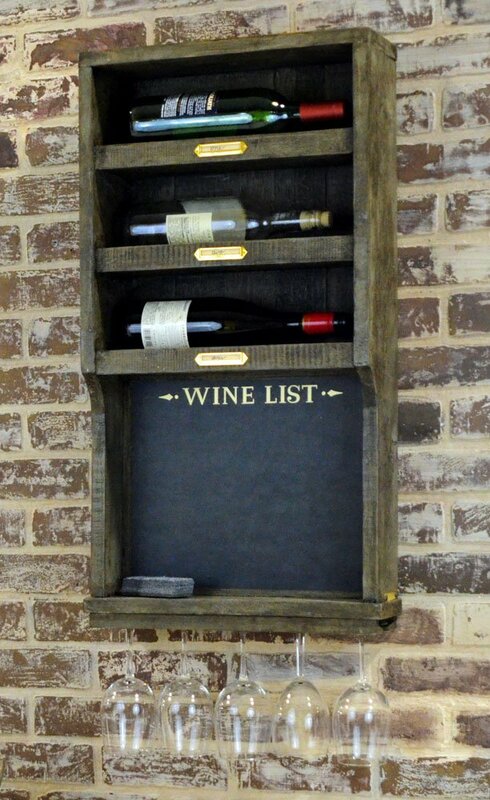 Please specify preferences with your order.